I have been in my room today working on this quilt. I have some embellishments I want to do on it and will show that later. I just love this fabric. 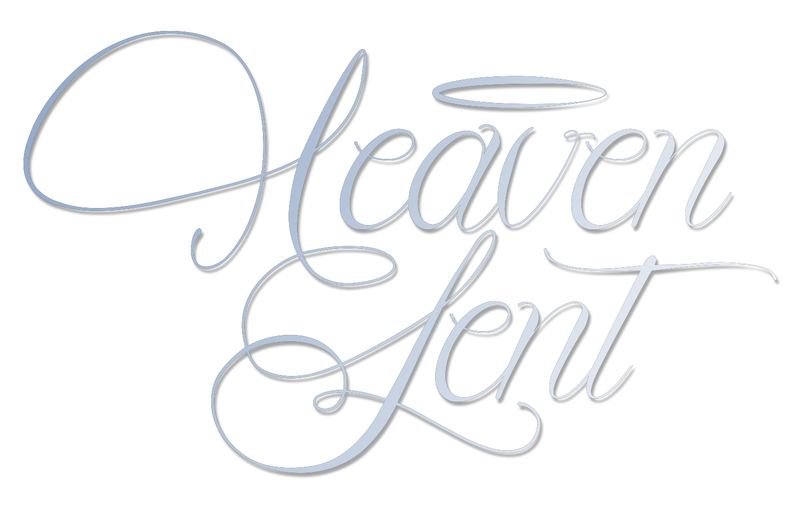 Those of you who belong to The Church of Jesus Christ of Latter Saints know and understand this fabric. Those who do not, this is our Young Women Values but as I was sewing on this I was thinking....who would not want these Values for their daughters hanging on the wall to remind them of their own Individual worth and Love a Father in Heaven has for them??? 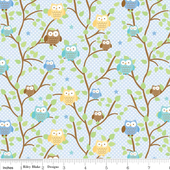 You can get this fabric at Inchworm fabrics. As I had stated before, her fabrics are sold by the half yard but a complete yard is around five dollars....doesn't get much better than that!!! Yesterday I got the Pin Curl Quilt (see picture on post below this one) pinned and ready to quilt. One thing that I did not like about the Pin Curl pattern is that there were a lot of left over scraps...so this is what I am doing with my scraps.... (really scrappy huh???) I was going to do them in nine patch but re thought it and ended up with this. Then as I had said in a previous post, my sister, Beverly made the Pin Curl quilt in her Marblelicious fabrics and I asked for her scraps (well...she volunteered the fabric and I said no...then re thought it and asked for it a few days later). Here is what I am doing with hers. No...Beverly, you can not have your scraps back!!! I did, had to re think my order several times....and oh...how I love this fabric....did I say extremely love??? 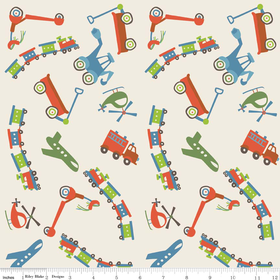 Accuquilt has the Train die (which I have) and it would go perfect for this fabrics....can't wait to get it. Not like I don't have enough to do. Also, did any of you know that Island Batik has a free pattern site? Quilted In Honor - loves these quilts, wonderful for our Wounded Warriors, Operation Homefront, and Quilts of Valor...great patterns for all of these. Can't you tell I am so indecisive today...don't know if I want to quilt the Pin Curl quilt, work on my scraps or Beverly's....or clean house....gosh...what is a gal to do????? Finally cut out some more and stream lined sewing. Here they are all sewn together. When I am done with the border this quilt should measure 70" x 86". I have found that I do not like opening the seams. I would much rather just flip the seam to one side besides I think it gives the quilt more strength. What I did learn about open seams is that is goes a lot easier if you set your seam first before you iron them open. Here is a nice tutorial on setting your seams over at Sew Moma sew. NOW THAT IS A LOAD OF????? When I was a young girl I would take small strands of my hair and just curl it up like a snail and then put two bobby pins criss cross....those were pin curls.... When I woke up, I would take out all of the pin curls and my hair would be so curly. Didn't do that very often because it was hard to pin curl my long hair. A few weeks ago my sister showed me her quilt (Beverly) she had made using the "Pin Curl" pattern by "Me and My Sisters Design". Beverly used Marblelicious fabrics and boy was it beautiful. I kept thinking that my Samoan Fabrics would work up nicely with this pattern...and was I ever right!!! Now back to the sewing table!! Labels: Marblelicious fabric, Pin Curls design by Me and My sister designs. WHAT I HAVE LEARNED ABOUT RAW EDGE APPLIQUE THROUGH THE YEARS - THAT WORKS FOR ME! First of all I have joined Sew Cal in her Christmas Challenge, to make something for Christmas each month as gifts. Notice my side button...it will take you there for the rules if you want to join. I purchased (don't know how many) of these towels at JoAnn's when they were on sale. I believe I have posted some I had completed. Well....here are my penguins of the day. I used one of the plaid towels for the scarf. Here is what I have learned during the course of my Raw Edge Applique learning. 1. Of course, I use a blanket stitch. 2. For one, I used to tie my loose threads. In my horror I had given a quilt to someone and when they held it up I noticed that the stitches were coming out. How embarrassing is that? So..........now I take about eight to ten straight stitches before I begin my blanket stitch and then when I come to the blanket stitches at the end of my stitching I take eight to ten more stitches (trying to make them tiny). This seems to work. 3. I have found that using a mechanical pencil to trace my patterns onto the paper back of my fusible works the best for me. 4. Always follow the instructions for your Fusible of choice. 5. Sometimes using glue is just as good. My favorite glue is Elmers Glue Sticks, I have tried about five other kinds and have found that Elmers is what works best for me. Also, you may have a few tiny puckers using glue so if the project means a lot to you, I would stick with the fusible. 6. I have also found that it is easier to do a continuous stitch, meaning that when I start my blanket stitch I continue on....when I come to a part that does not need to be blanket stitched I put my machine on straight stitch and just go around until I find the next spot that needs to be blanket stitched. 7. Never be afraid to lower your stitch length when going around smaller parts, you can always return it to the regular stitch you were using when done with the small part. 8. Try not to be too heavy footed when blanket stitching, sometimes when you go to fast you get the "V" shape especially when you go around the curves. 9. When I first started Blanket Stitching I thought that it always had to be in black thread. I think any color you want...there are no rules (are there? )....if so, I have probably broken all of them. 12. I you are familiar with my blog you will know that I was in love with Steam a Seam, then the Steam a Seam was becoming harder and harder to find. That is when I switched to Heat N Bond Lite (make sure it is lite and not heavy for you appliqueing). I love Heat N Bond and have found that is is cheaper than Steam a Seam. Need a towel?? Which one? Delicious Samoan Fabrics means new project!!! This will be under a controlled environment, you will only be able to see what I am allowing. So all of you march forward. Here is one of my favorite spots. I love the pictures of my sons. Still working on the treadle machine. Bookshelf by the door. Don't mind the pink slippers, they were not invited in this picture. I have whittled through alot of my books and magazine and so glad that I did. This is between the two big windows, This bed is my mother's. The first thing I obtained was her bed so she can have a place to sleep while visiting . My son is on it right now. I had it soo cute.....(news flash, boys do not like cute....it is all he can do to sleep on that pink pillow case...ha!!) The ironing board was not invited in this picture either. I worked on these yesterday. I do not know if I like this gals digitizing...the faces seem messed up to me. Here is my brain, you will find in here past ideas, ideas that came to fruition, and some are just laying dormat waiting for me to come and rescue them. See, there is not much to my brain....just some scraps and scribblings. cutting mat....husband said the quilt was straight....hummmmm was he looking at it sideways? Here is my sewing necleus....where everything happens at Bejeweled! The green desk and the desk the embroidery machine were found in the out building. I just cleaned them up and here they are. The desk my sewing machine is on my son let me use (he was so gracious and brought all of his furniture for us to store while he is gone for 10 months). We are such lucky parents!!! It is so nice sewing on solid surfaces instead of those portable tables. There you have it, still a work in progress....needs more organizing but hey...at least I am in and sewing. This is one book I am excited to tell you all about. 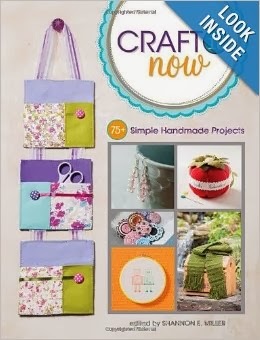 I have a pattern in this book, if you flip through the pages on Amazon you can find my pattern on page 16. I know, you are shocked that it is not applique. Barb did a Geometric design??? No way..
Will be released in April, you can pre order now if you want????? Son #5 if coming in tonight (this morning at one) and so while I was waiting for him to come in I finished this Gecko Quilt using Island Batik's fabric. I just have to say that I love love triple love this fabric. Sure it is bright but it is ohhhhh so fun!! As some of you know, I received a package from Island Batik....these lovelies were in the box. My mind just would not shut up.... I had to pull out these fabrics and do something with them last night. So I made some nine patches. (okay....some of you are saying BORING)!!! But you know, I just couldn't leave it with a nine patch!!! How about a few geckos? You want a peek inside my box? Island Batik sent me this awesome box of batiks.....and when I say awesome...I don't just mean awesome...I mean AWESOME!!!! Sent this blender color card....yep...I will let you peek inside that..
O my stinking GOSH!!!! Don't these colors just scream at you? They are just loaded with inspiration! The colors!!! We all know I love brights!!! Yep....I am drooling as I type this. Here are these pretty fabrics. You can see the item number on them....I left them on for your benefit. Now these fabrics are in stores now. You can walk in and pull them right off the shelf (of course, you have to pay for them). Island Batik does not sell to the average quilter, they only do wholesale but if you go to their site they have a product page and it will tell you where you can purchase these fabrics. Don't you just love cliff hangers? More will come later!! Labels: Color Blender chart, Island Batik fabrics. Fall of 2013 line. Notice the buttons on my side bar? I am now an Ambassador for Island Batiks! You all know how much I looooovvveee batiks!!!! You also know how excited I am to be an ambassador for them....oh yessss. They are sending me some awesome fabrics which I will show to you when I get them. Can you tell I am excited? So...... one button on my sidebar will take you to their home page and one will take you to their blog. 2) Graphic 45 Paper: Assorted prize pack including Paper, Tags, Metal Butterflies, and Matchbox book! I encourage you to join in on the fun, maybe you will be a lucky winner. It has been pretty quiet over here at Bejewels.... Hubby got sick a few weeks ago and decided to share it with me and now I decided to share it with my son...it is the gift that keeps on giving. I know....you can do without that kind of giving...well...so could I.
Hopefully, we are on the mend but that means slow progress on my sewing room. My poor husband keeps slugging away trying so hard to get my room done (which is now done) but can't show a picture because it looks like someone threw up fabric in the room. My mother came by and said...Oh my...what are you doing to do with all of this stuff. I kinda chuckled because I hadn't a clue. I will have to say that my husbands equipment was still int here because he is working on his office which is off of my room. So...hey....tomorrow....and hopefully, tomorrow will come. Can't leave you with a blank post so in honor of Batiks, I will re show you this. Accuquilt just picked it up a few months ago under their patterns.